Important: I will no longer be doing custom reborns. If you already have a custom baby scheduled with me, you will still get your baby, but I will not be taking ANY new orders. Please keep your eyes out for new babies on ebay! As many of the following options as you want: spit bubbles, birthmarks, bald hair spots, scratches, rashes, milk spots, special blotches, half-moons on fingernails and toenails, and other such things. Some other things you can have for an additional price are: belly plates, baby fat inserts to make baby feel more real, earrings, beating hearts, breathing mechanism, and hair longer than 3 inches. If you can think of something else you'd like to choose, let me know and I'll let you choose it if at all possible. Please contact me with the name of the kit you are interested in and I will give you a quote. I do ask for a non-refundable deposit of $300 before I begin work on the baby. This deposit is part of the total price of the baby. For example, if the total cost is $1,200, the money due after the deposit would be $900. A longer layaway is available if needed. I will send you pictures of the reborn in progress, so that you can tell me if you want me to change or add something. I will do my best to make sure that you are totally pleased with your baby. We can work together to make sure that it is exactly the way you want it. Please allow 3-4 weeks from the time of deposit to shipping time. It may be done sooner, but that is usually the amount of time it takes to get the kit and other materials, and then make the reborn baby. Baby will come home with 2 brand-new outfits, a blanket, a pacifier if desired, care instructions, and a birth certificate. Exact accesories vary from baby to baby. Traveling expenses are $20 within the US, $35 to Canada, and $50 everywhere else. I will also do a custom reborn from a picture. I request at least 2 pictures (1 awake and 1 asleep), but would prefer more pictures if possible. You may choose all the same things as with a regular custom reborn. The price quote will start at the same price, and everything I do to a regular custom reborn will be done to it. You will still be given pictures-in-progress, and it will come home with the same things. 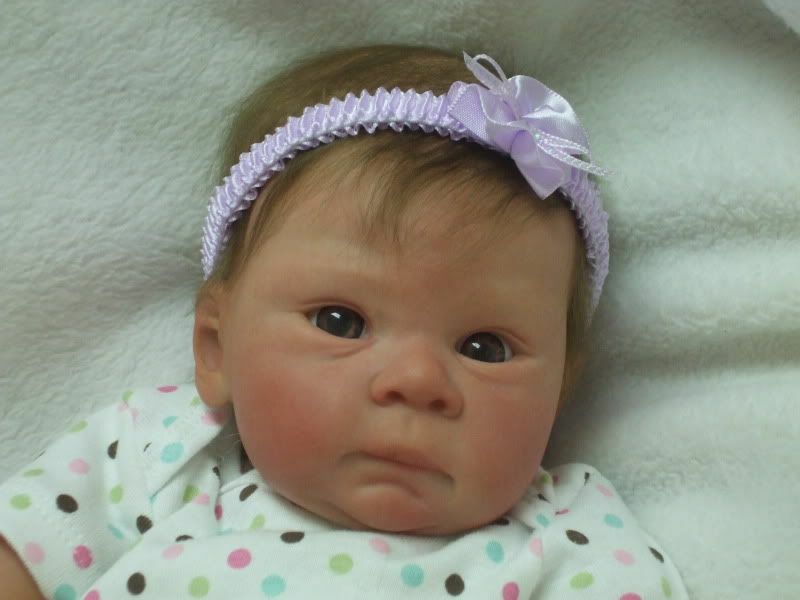 It may take a little longer than 4-6 weeks, as I will have to find the kit that looks most like the baby in the picture, which may take some extra time. 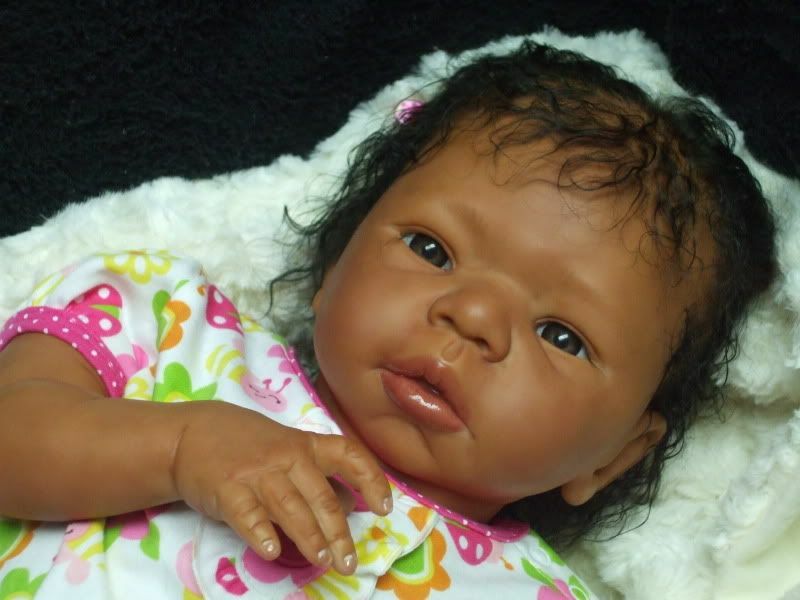 Please contact me if you are interested in a custom reborn, and I will try to make creating your own perfect dream baby as enjoyable as possible. Here is site that lists nearly all of the reborn kits ever produced. I can reborn any of these for you (except for the sold out kits). The artists of the kits are alphabetized on the left on the page, so enjoy browsing and finding the perfect kit for your reborn baby.